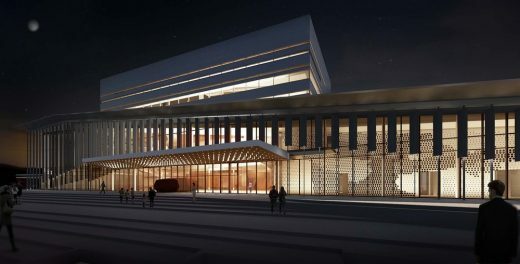 Toronto – The Buddy Holly Hall of Performing Arts and Sciences broke ground today in Lubbock, Texas, setting a milestone for this major arts project in the hometown of the iconic 1950s pop legend Buddy Holly. 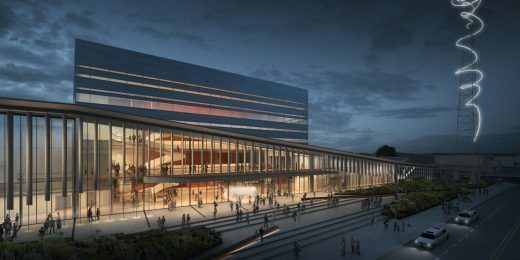 The center features the 2,200-seat Helen DeVitt Jones Theater; a 425-seat studio theater; a grand hall; a bistro; and the 22,000-square-foot home to Ballet Lubbock with five dance studios. The Christine DeVitt Lobby will be a gathering point and community asset. 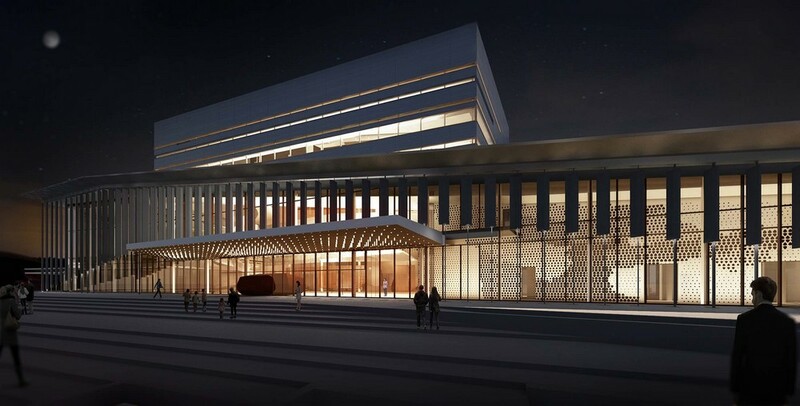 The central volume of the structure conceals the fly tower and is framed by a roofline of swooping planes with cascading columns that establish a strong visual identity and create a welcoming entrance. 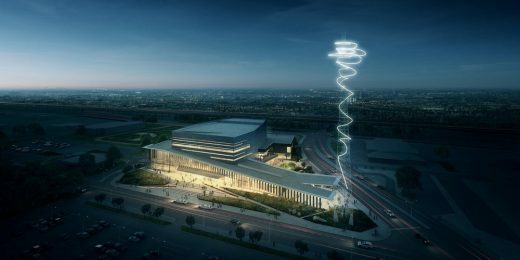 A replica of a 200-foot telecommunications tower will be installed on the site as a light sculpture, forming a beacon for the performing arts center. Diamond Schmitt Architects (www.dsai.ca) has designed many acclaimed concert halls, opera houses and theatres worldwide, including the New Mariinsky Theatre in St. Petersburg, Russia, La Maison Symphonique in Montreal, The Harman Center for the Arts in Washington, D.C., and the Four Seasons Centre for the Performing Arts in Toronto. 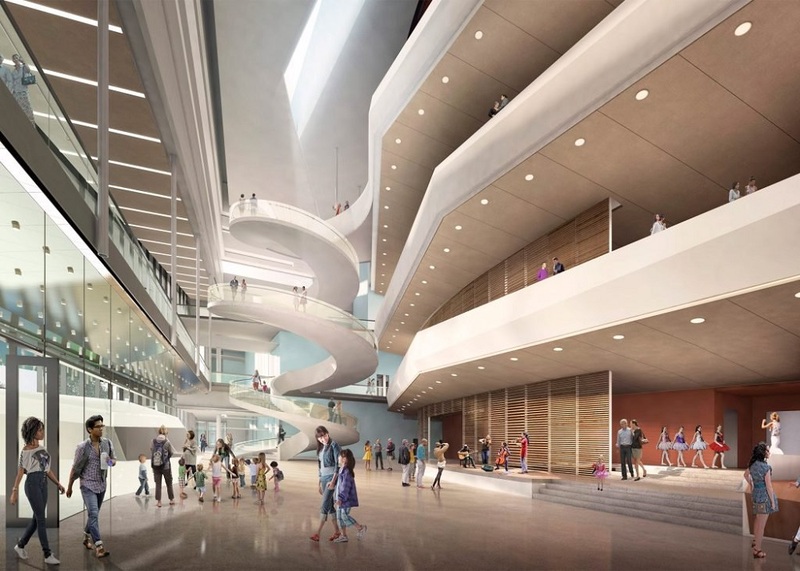 Among current projects are the design for David Geffen Hall at Lincoln Center in New York City and the transformation of the National Arts Centre in Ottawa. 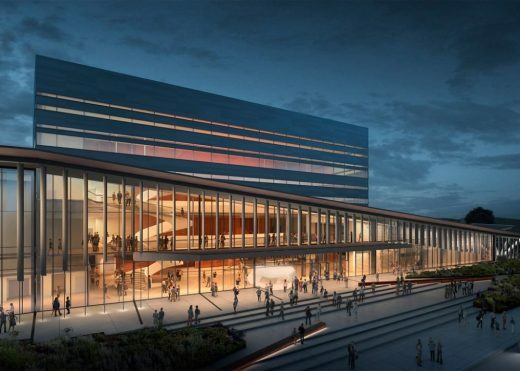 Construction has started on this concert hall building dedicated to American musician Buddy Holly. The rock-and-roll musician shot to fame with tracks including Peggy Sue and That’ll Be the Day, before he was killed in a plane crash in 1959, aged 23. 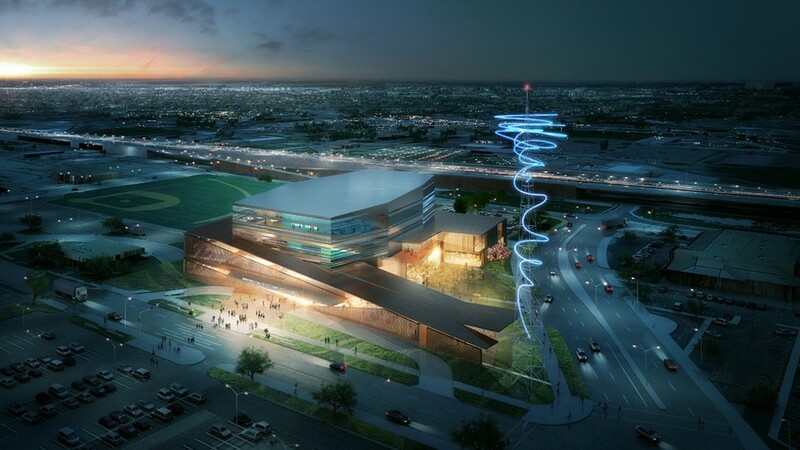 The building is designed as a tribute to the artist, and to fit into its setting on the Llano Estacado desert plains. 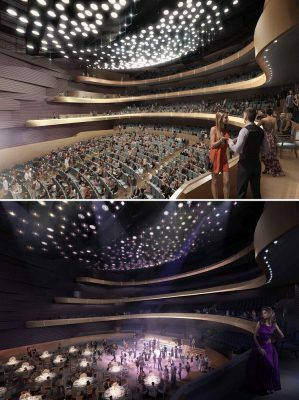 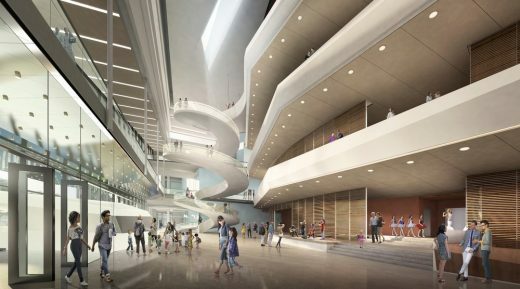 May 2, 2016, TORONTO – Design details from Diamond Schmitt Architects have been released for The Buddy Holly Hall of Performing Arts and Sciences. 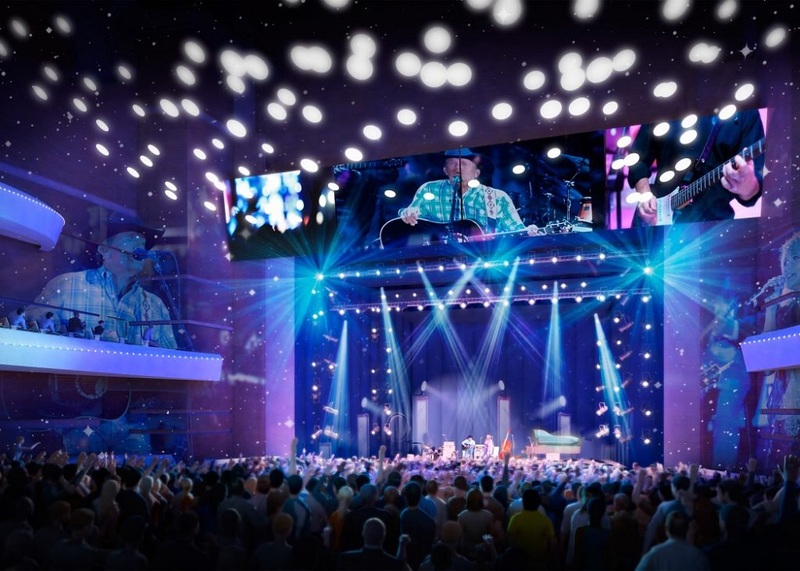 The arts complex will be built in Lubbock, Texas, birthplace of the legendary 1950s pop star whose brief career influenced generations of musicians and fans. 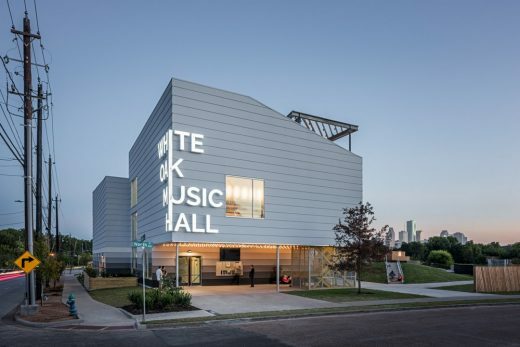 Buddy Holly Hall from Michelle Stephens on Vimeo. Diamond Schmitt is working with development team partners Garfield Public/Private, LLC, Parkhill, Smith, & Cooper, MWM Architects, Hugo Reed & Associates, Jaffe Holden Acoustics, Schuler Shook, and Lee Lewis Construction. 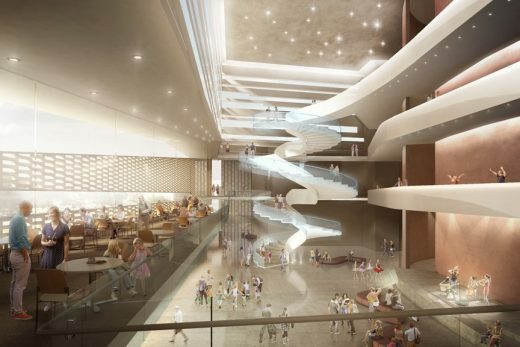 Construction is set to commence later this year with a projected opening in 2019. 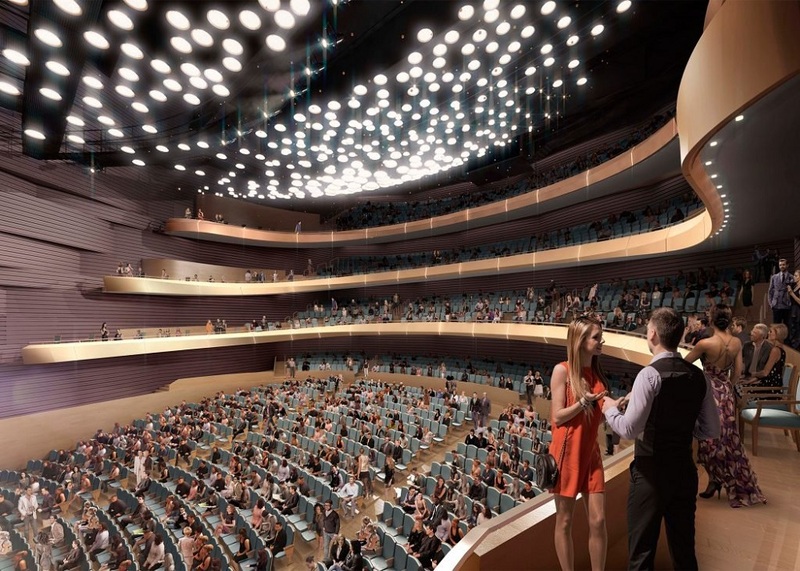 Diamond Schmitt Architects (www.dsai.ca) has designed many acclaimed concert halls, opera houses and theatres worldwide: Among these are the New Mariinsky Theatre in St. Petersburg, Russia, La Maison Symphonique in Montreal, The Harman Center for the Arts in Washington, D.C., and the Four Seasons Centre for the Performing Arts in Toronto. The firm recently won an international design competition to reimagine Lincoln Center’s David Geffen Hall in New York City. An extensive portfolio also includes academic buildings, libraries, sports facilities, research laboratories, hospitals, residential and commercial buildings.